Sunday’s meeting on the Abu Dhabi turf, a six-race card, is highlighted by the HH The President Cup Prep over the same 2200m course and distance as the Group 1 feature itself, which was won last year by Al Zahir, who will attempt return to the winner’s enclosure, while conceding weight to his 13 opponents on Sunday. Trained by Ali Rashid Al Rayhi for His Highness Sheikh Hamdan bin Rashid Al Maktoum, the now 6-year-old then won the Emirates Championship (PA G1), also over 2200m at Abu Dhabi, before finishing fifth in the 2000m Kahayla Classic (PA G1) on the Dubai World Cup card on the Meydan dirt surface. 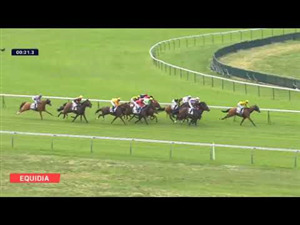 He has had one outing this season, in the 1900m Madjani Stakes (PA Listed) when, perhaps unlucky having been hampered at the start, he and Dane O’Neill were denied close home by Abhaar after briefly appearing like the winner in mid-stretch. The owner’s first jockey, Jim Crowley, is back in the saddle. “The trainer and his team are very happy with him and we know conditions suit, so he should go well, but he does have that penalty to overcome which makes life harder,” Crowley said. For the same owner, O’Neill rides Sauternes Al Maury, fourth in this prep race last year for Doug Watson. Without a win since landing his second career success in a 1600m Al Ain handicap in November 2016 under the same jockey, he must improve to compete here. Second in that prep 12 months ago was Abu Alabyad, owned by His Highness Sheikh Khalifa bin Zayed Al Nahyan and the choice of Pat Cosgrave from three to be saddled by the owner’s trainer, Eric Lemartinel. Fifth in HH The President Cup behind Al Zahir, he was then third behind that same rival in the Emirates Championship, but has not run since that contest in March. Goshawke was third, just last Thursday, in the 1600m Al Maktoum Challenge R1 (PA G1) on the dirt at Meydan and is a proven stayer on the Abu Dhabi turf having won the 2200m Arabian Triple Crown R2 (PA G3) and 2400m Arabian Triple Crown R3 in the capital last year. Fernando Jara rides for trainer Abdallah Al Hammadi and his main patron, Al Ajban Stables. He is also penalised, though not as severely as Al Zahir. Stamina will certainly not be an issue for Ajjaj, whose most recent victory (last March) was achieved over 5100m on the dirt at Al Ain in the Final Leg of the Al Ain Marathon Series. Adrie de Vries, who also won the 4100m third round of that Al Ain series on the horse, is again in the saddle with Richard Mullen opting to ride Dahham, like Ajjaj owned by Yas Horse Racing Management and prepared by Jean de Roualle. Yet to win locally, having twice won at Group 1 level in Europe, he was third in HH The President Cup last year and has the benefit of two runs, both over an inadequate 1600m at Abu Dhabi, under his belt this season. As always, there is just a solitary Thoroughbred race on the card, a 1400m handicap this week, but it looks a fascinating one with Nicholas Bachalard switching veteran 10-year-old Sholaan to Abu Dhabi for the first time. A gelded son of Invincible Spirit, his three UAE victories were all achieved in 2014 over sprint trips on the Jebel Ali track, where he is trained for racecourse patron, His Highness Sheikh Ahmed bin Rashid Al Maktoum. He was a 1200m turf winner in England and also over 1400m on the all-weather at Wolverhampton long ago. Crowley has opted to ride Tafaakhor for Al Rayhi and Sheikh Hamdan, with O’Neill aboard Mujeeb for the same owner and Erwan Charpy. Both appear to have solid claims in a competitive race, as do Satish Seemar’s duo Invincible Strike and Circle Dream, with Mullen choosing the former. Tadhg O’Shea will be aboard the latter, with Antonio Fresu partnering the trainer’s third contender, Way Of Wisdom.